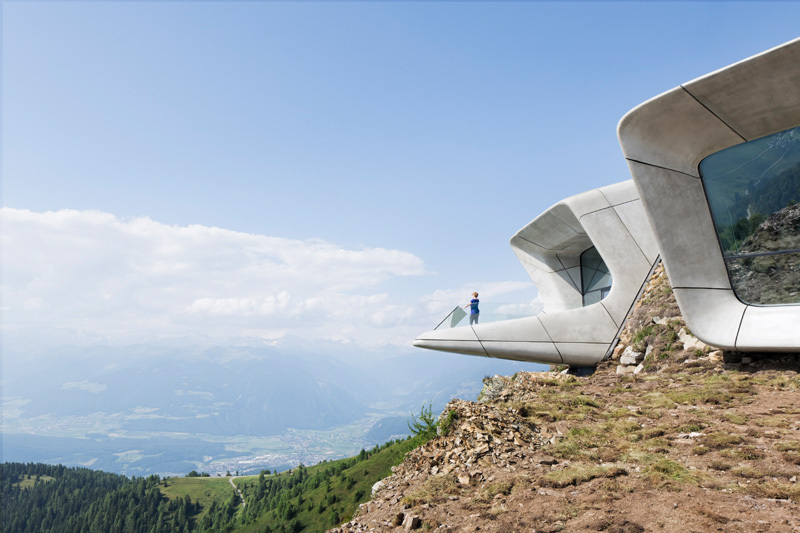 Zaha Hadid Architects have completed the Messner Mountain Museum Corones, located in South Tyrol, Italy. 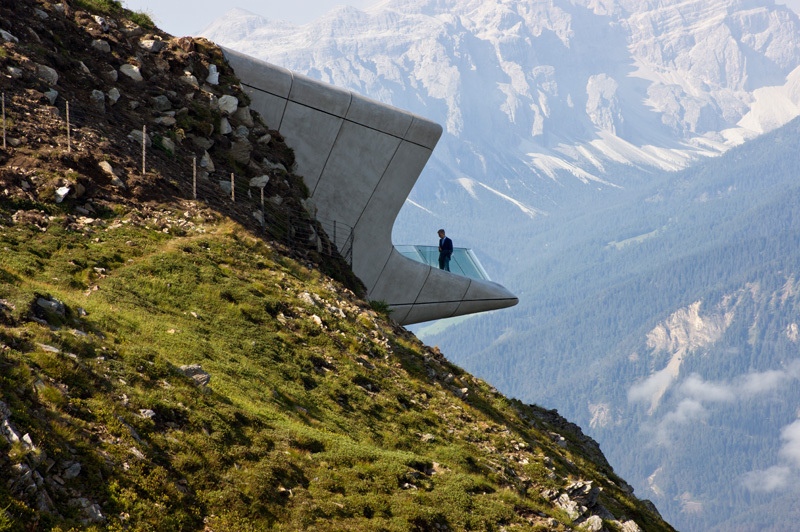 Embedded within the summit of Mount Kronplatz, 2,275m above sea level at the centre South Tyrol’s most popular ski resort, the Messner Mountain Museum Corones is surrounded by the alpine peaks of the Zillertal, Ortler and Dolomites. 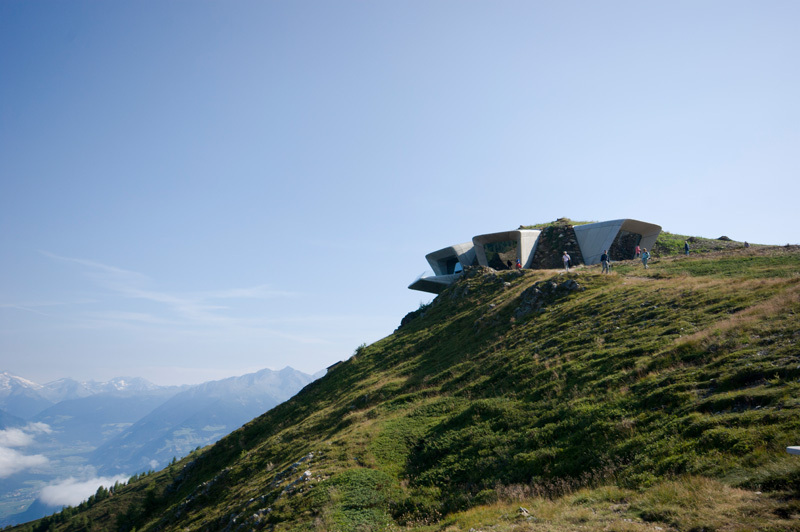 Established by renowned climber Reinhold Messner, the sixth and final Messner Mountain Museum explores the traditions, history and discipline of mountaineering. 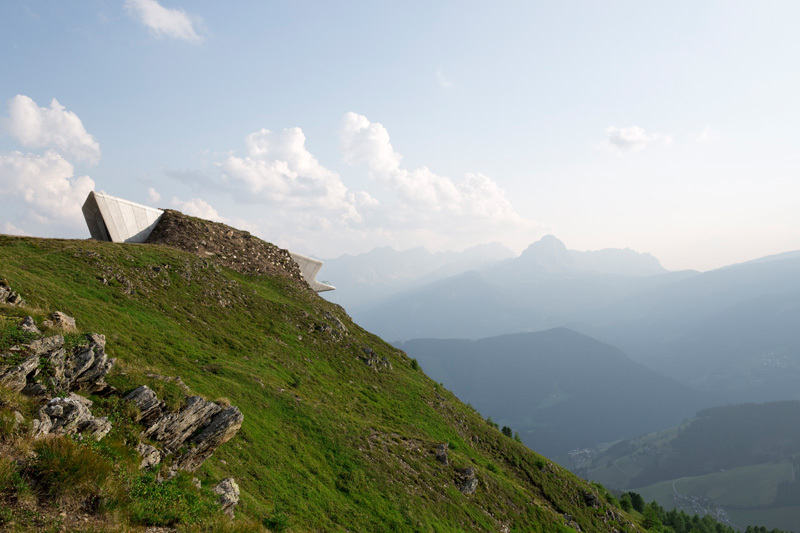 In 2003, the Concordia 2000 Peace Bell was the first cultural installation to join the sports and recreational amenities at the summit of Mount Kronplatz, which include facilities for hang-gliding and paragliding, the Kron and Gipfel Restaurants, a replica of a Native American settlement, as well as the summit stations of the Kronplatz 2000 cable-car to Riscone/Reischach, the Olang cable-car to Valdaora, and the Ruis cable-car to San Vigilio. 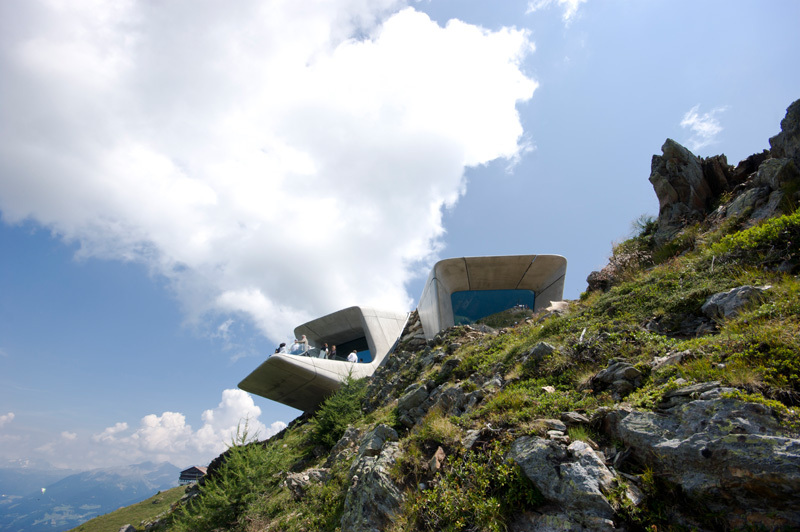 The Mountain Museum will welcome visitors throughout the year to explore Messner’s world where humanity is pushed to its limits, adding a further cultural and educational institution to Mount Kronplatz. 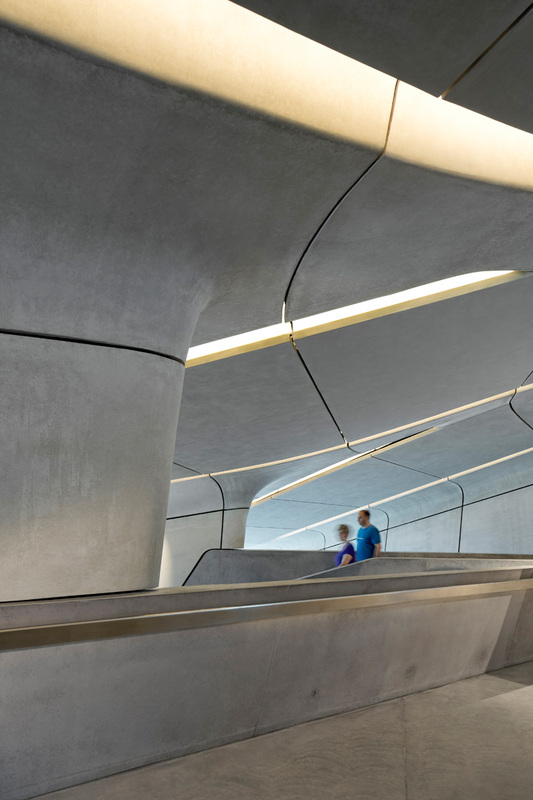 Informed by the shards of rock and ice of the surrounding landscape, concrete canopies have been cast in-situ and rise from the ground to protect the museum’s entrance, viewing windows and terrace. Reflecting the lighter colours and tones of the jagged limestone peaks of the surrounding Dolomites, the exterior panels are formed from a lighter shade of glass-reinforced fibre concrete and fold within the museum to meet the darker interior panels that have the luster and colouration of anthracite found deep below the surface. 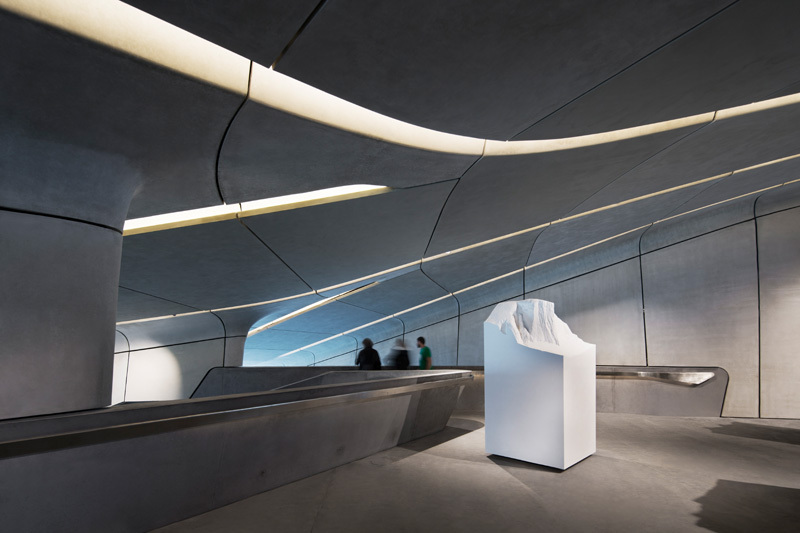 A series of staircases, like waterfalls in a mountain stream, cascade through the museum to connect the exhibition spaces and describe visitors’ circulation over three levels. 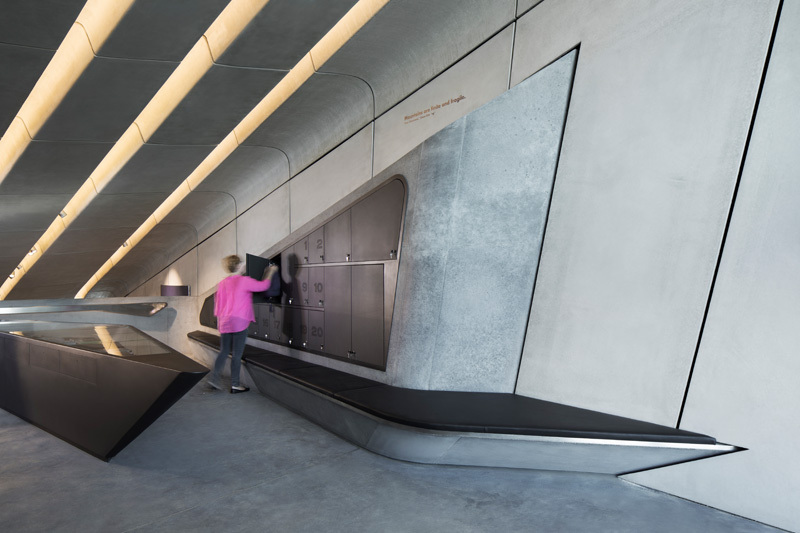 At the lowest level, visitors pass the viewing windows as they traverse through the galleries to emerge out onto the terrace that projects 6m from the mountainside giving a 240 degree panorama across the Alps. 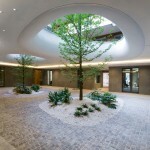 At 1,000 square meters, the museum is arranged over several levels to reduce its footprint. During construction, 4,000 cubic meters (140,000 cubic feet) of earth and rock was excavated and then replaced above and around the completed structure – immersing the museum within Mount Kronplatz and helping to maintain a more constant internal temperature. The wide windows allow natural light to penetrate deep within the museum, drawing visitors forward through the interior to the panoramic windows and viewing terrace cantilevered over the valley far below. 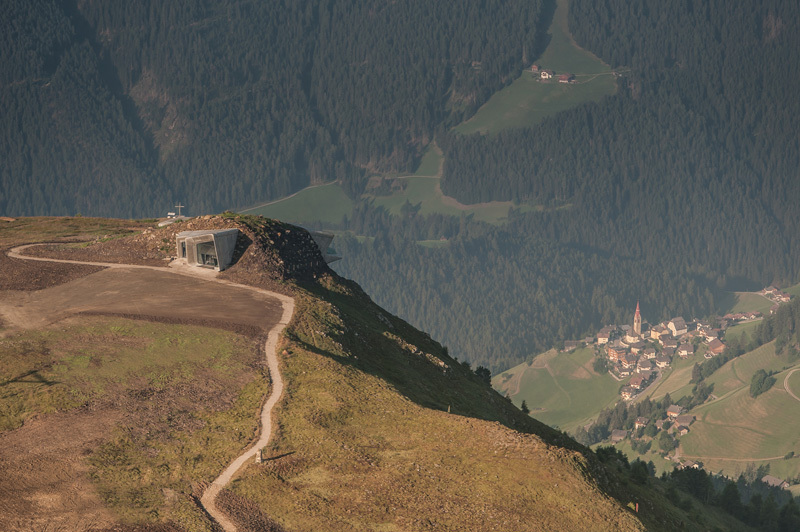 Constructed from in-situ reinforced concrete, the museum‘s structure has walls between 40-50cm, while its roof supporting the replaced earth and rock that embeds the museum into the mountain, is up to 70cm thick. 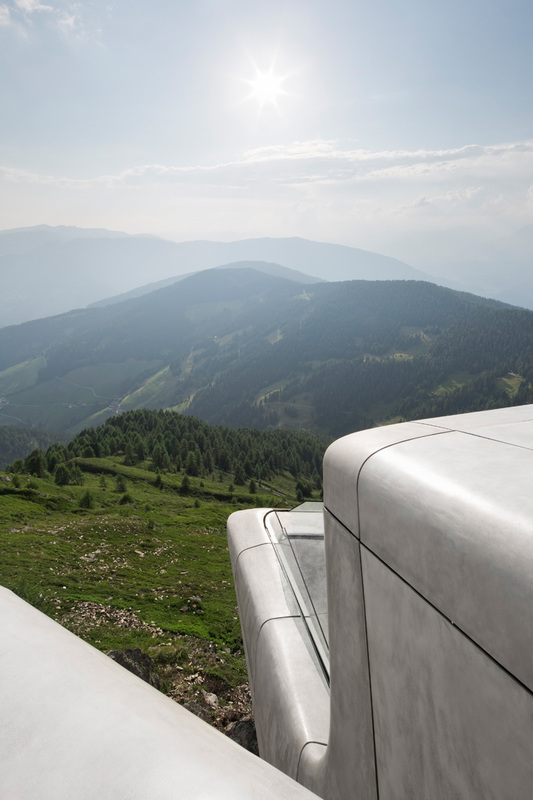 The majority of the museum’s exterior and interior panels are also made from in-situ concrete, with a formwork of tapered surfaces used to generate the peaks and abutments of the exterior panels that convey the rock and ice formations of the surrounding landscape. 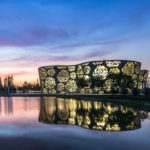 Almost 400 internal and external panels were prefabricated, with the more complex curved elements created in a process of spraying layers of high-performance fibre-concrete into moulds carved from CNC-milled foam using the architect‘s 3D model. A scaffold of steel sections with adjustable brackets to offset tolerances forms the museum’s substructure. Counter-plates for the connecting brackets are laminated directly within each panel during the prefabrication process.